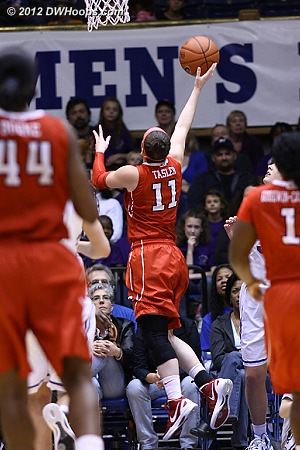 All photos have been published and captioned. 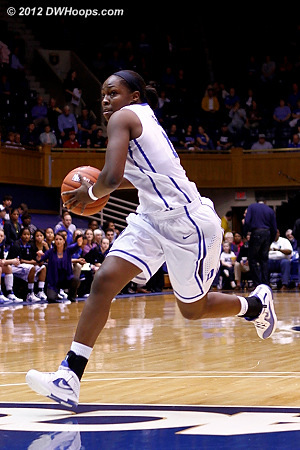 83 photos are available to the public while DWHoops members may log in to see an additional 127 pictures. 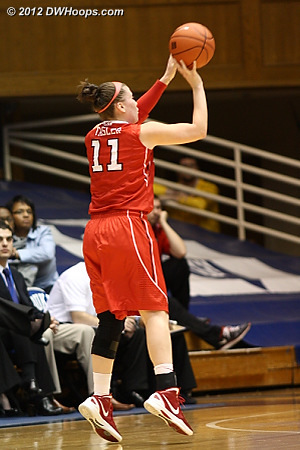 Tasler goes to the hoop again, cutting the State deficit to 10-8. 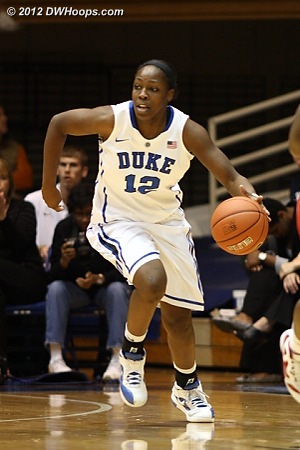 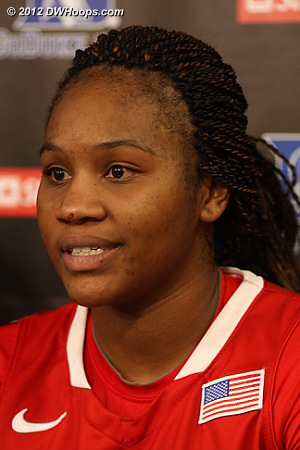 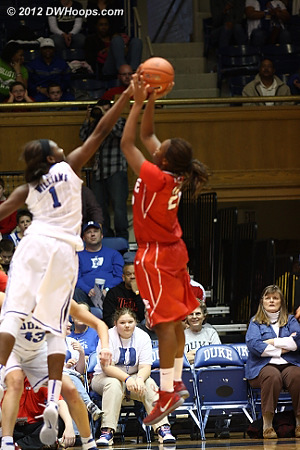 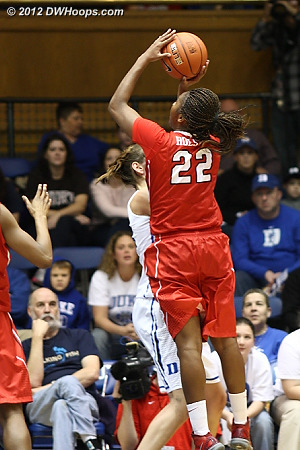 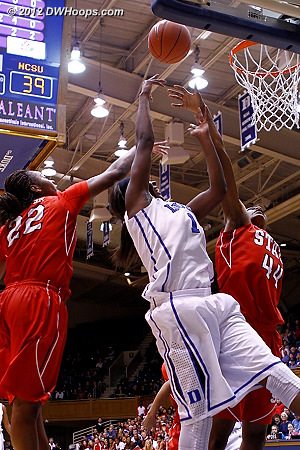 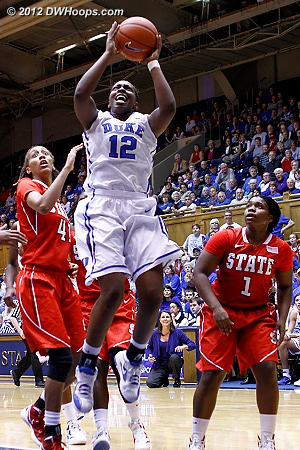 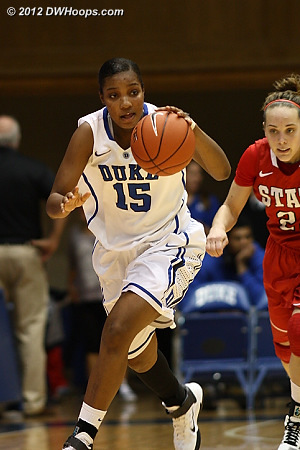 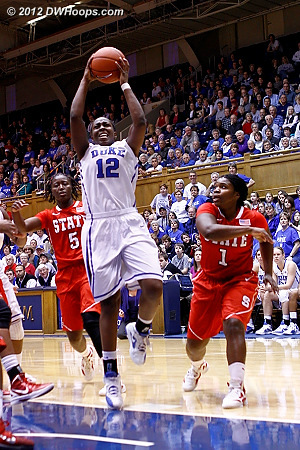 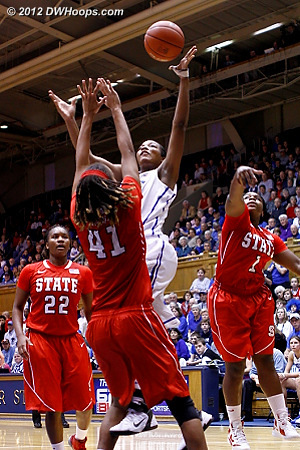 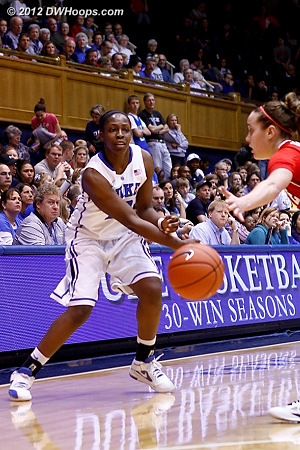 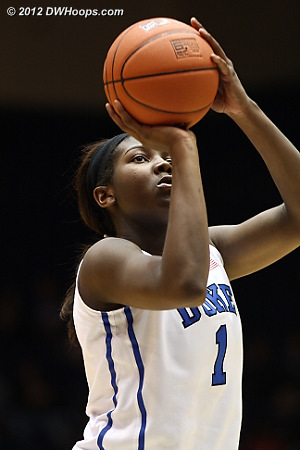 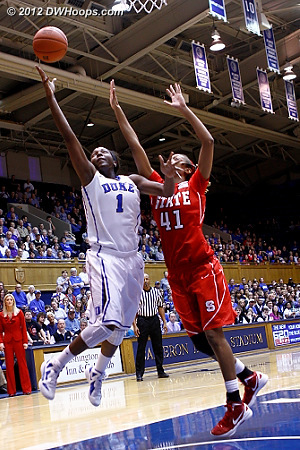 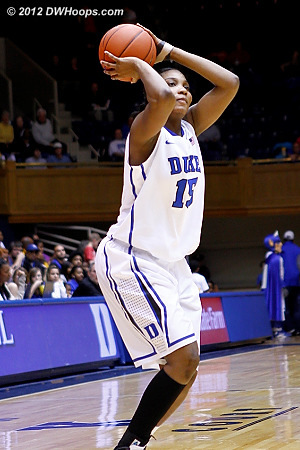 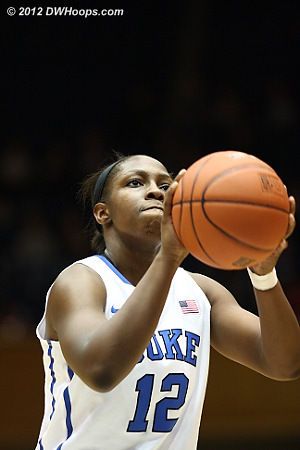 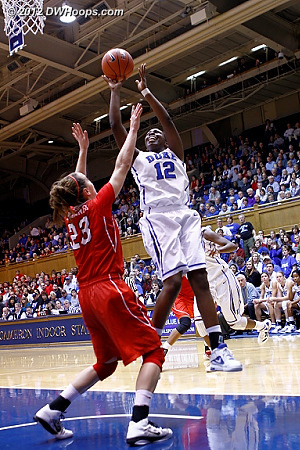 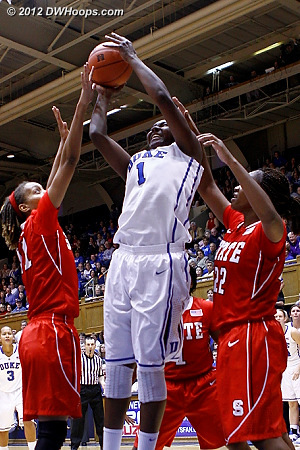 Myisha Goodwin-Coleman gave State a shot in the arm with a first half buzzer-beating three pointer. 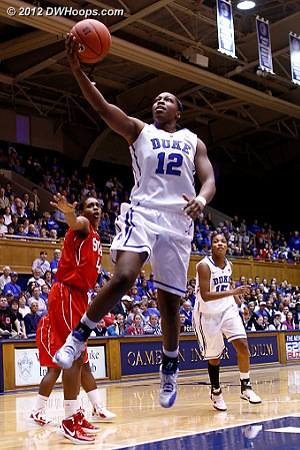 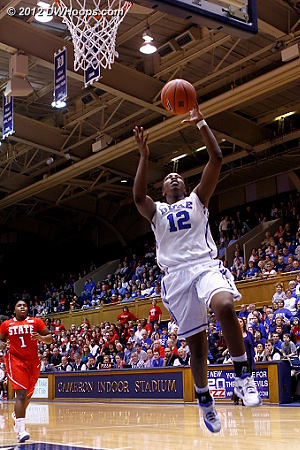 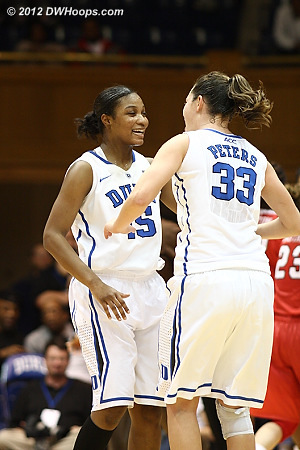 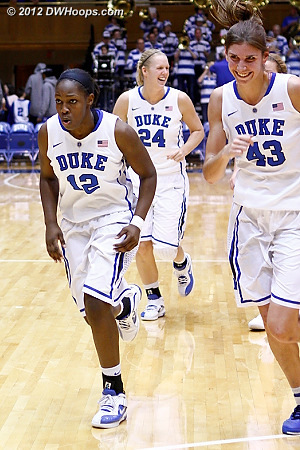 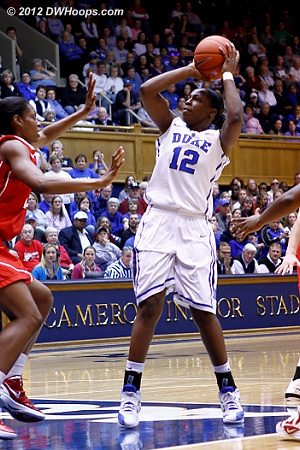 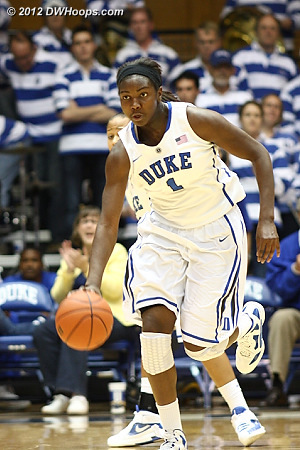 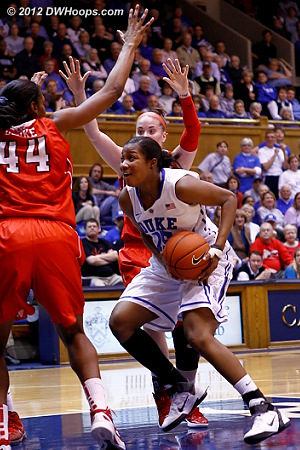 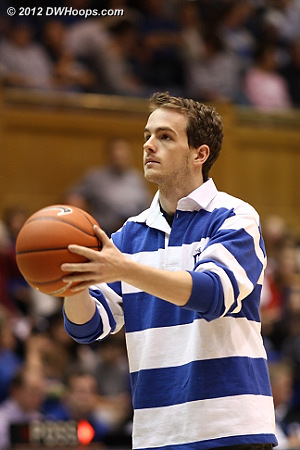 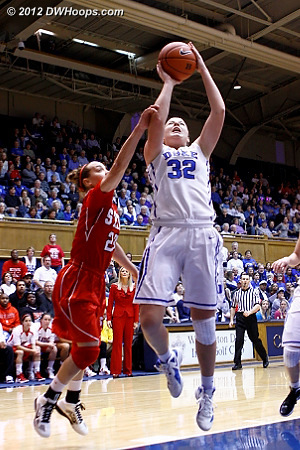 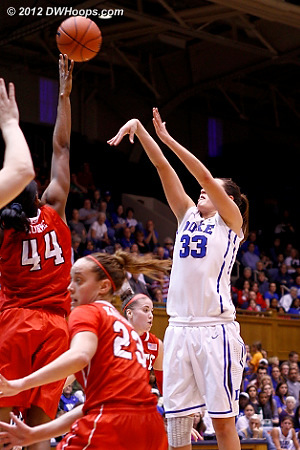 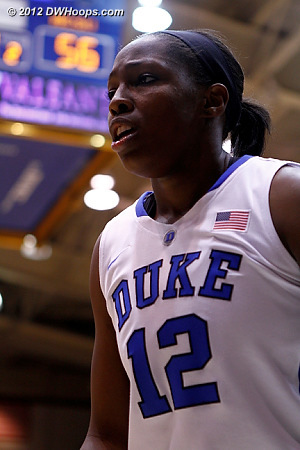 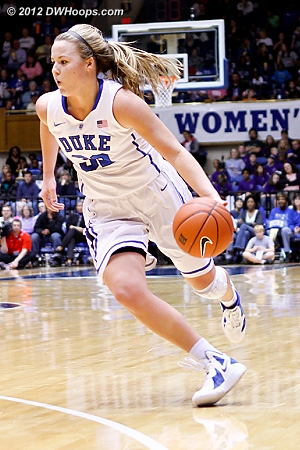 At half Duke led 42-33. 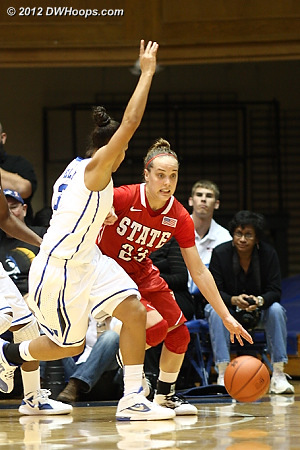 State continued to get open looks from three in the second half, but converted only 2-9. 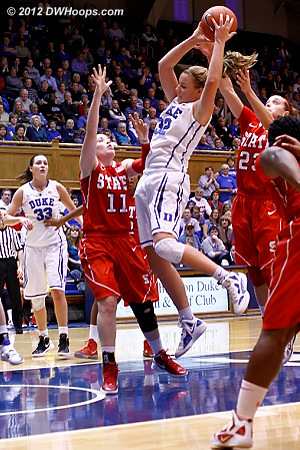 Vernerey scores over Burke and Duke leads 60-44. 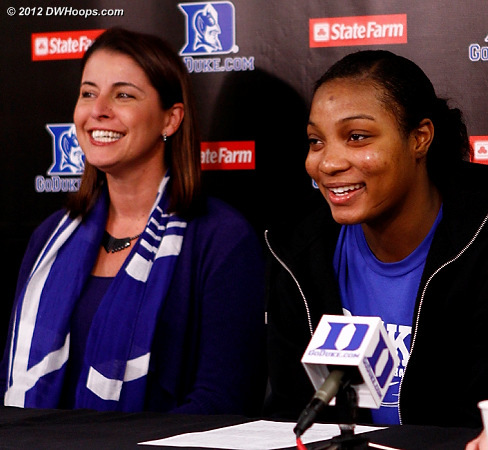 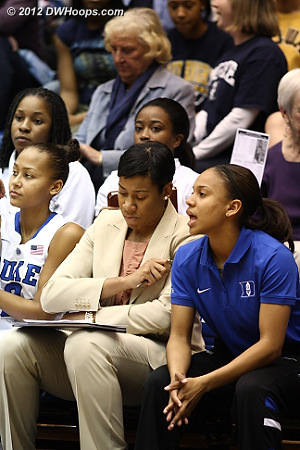 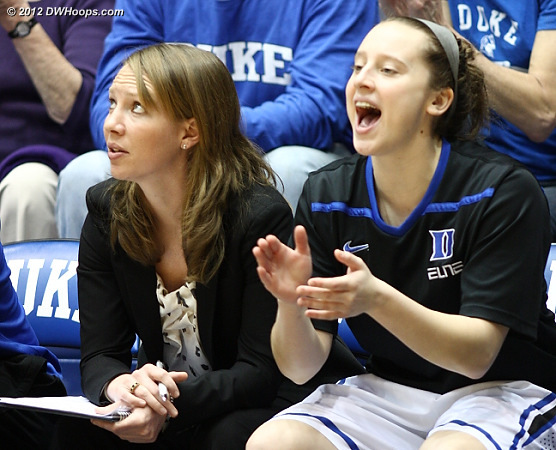 Shay Selby, assistant Joy Cheek, and Chloe Wells on the bench. 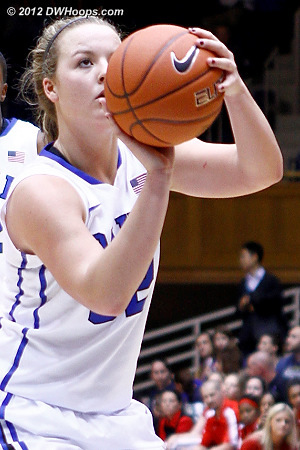 Wells was suspended from the team and will not return this season. 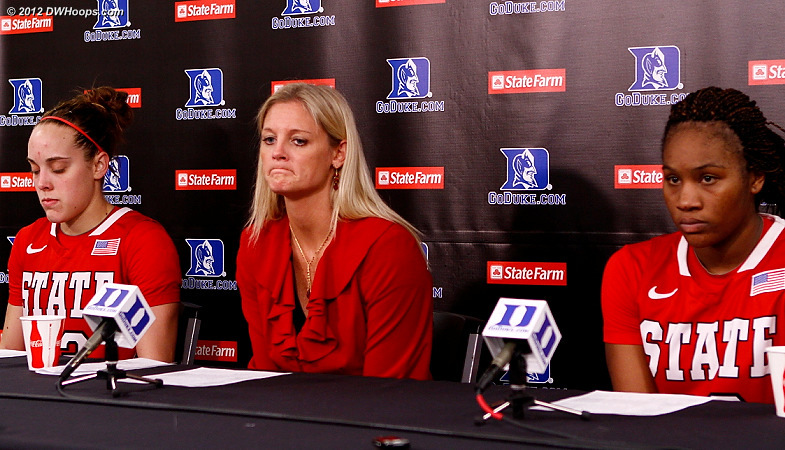 Harper after the game: ""We just talked about this. 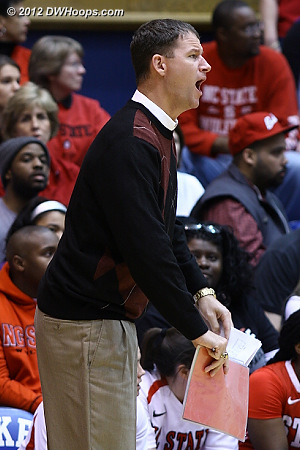 We want them to have a good mindset coming out of this. 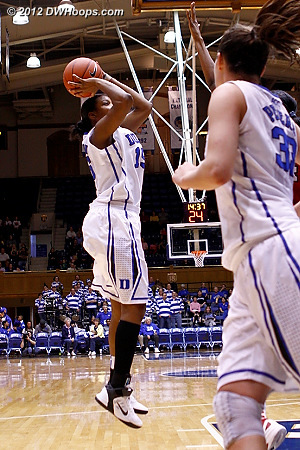 A good mindset means you don't come out of this and just accept what happened. 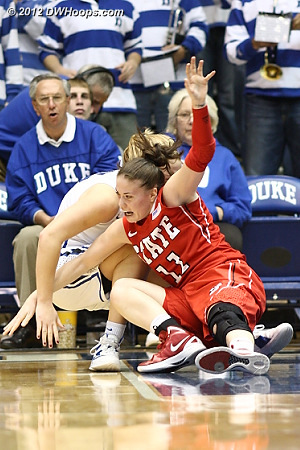 You never accept a loss. 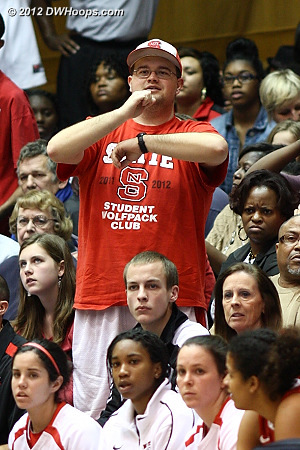 That's just a loser's mentality." 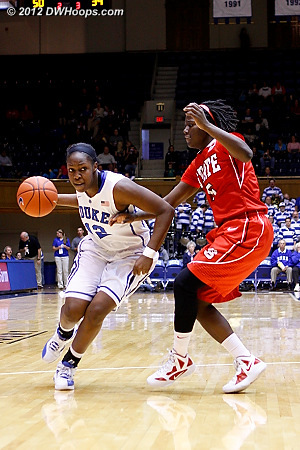 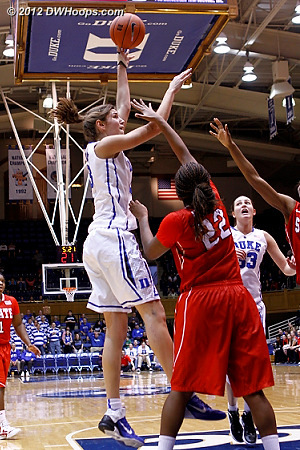 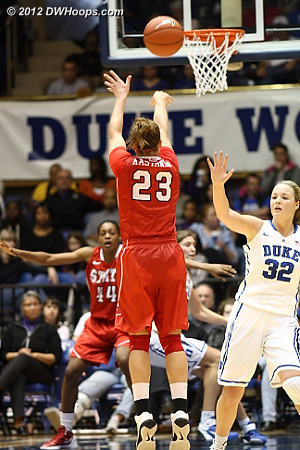 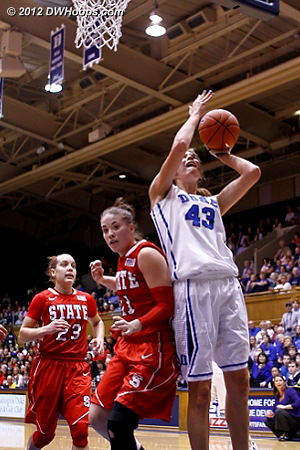 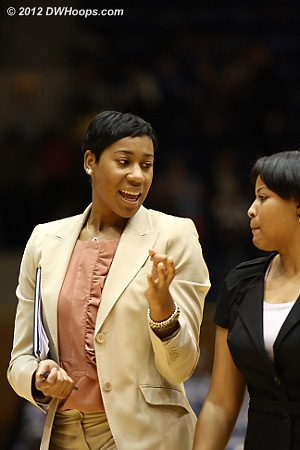 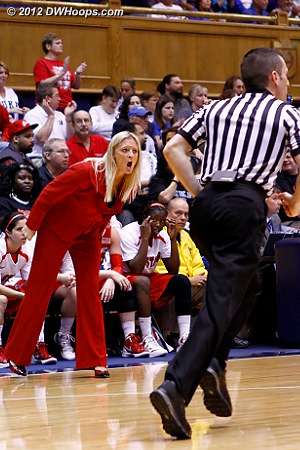 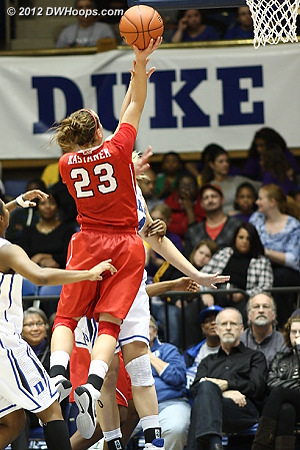 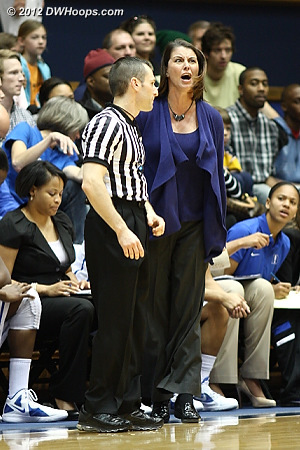 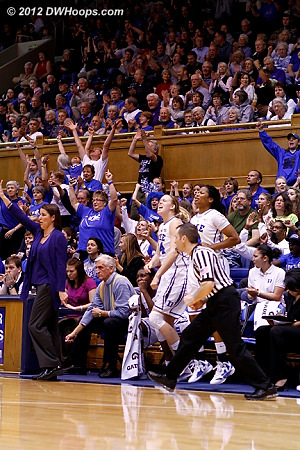 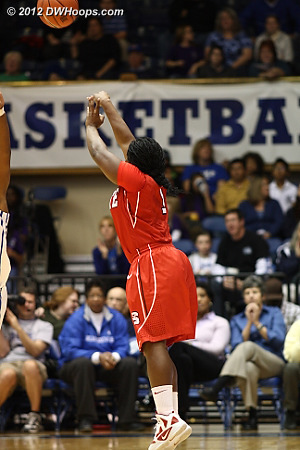 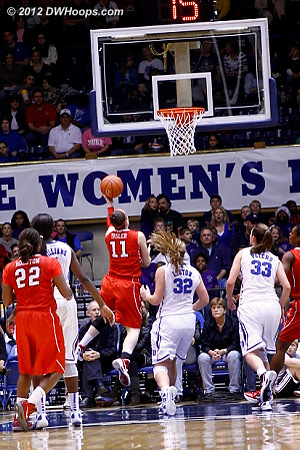 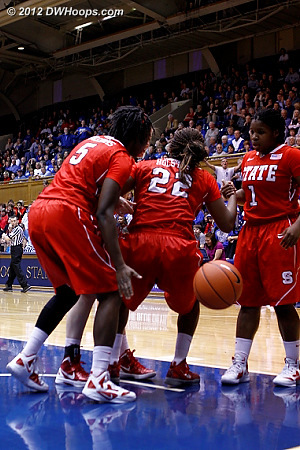 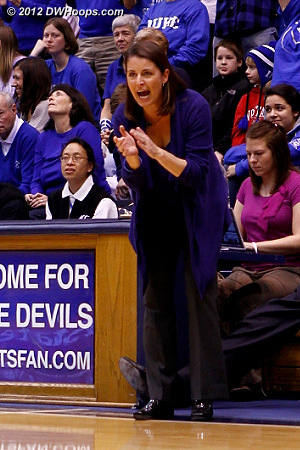 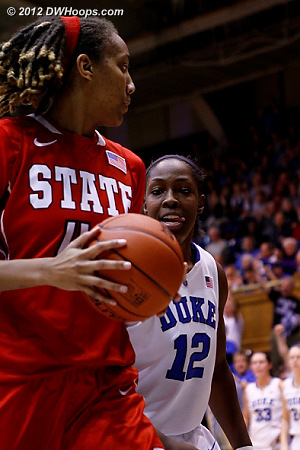 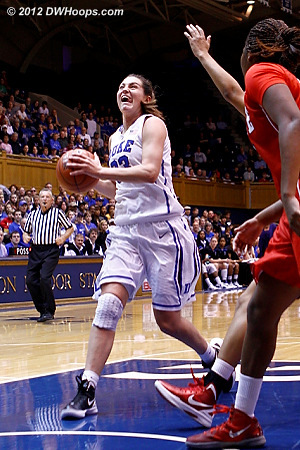 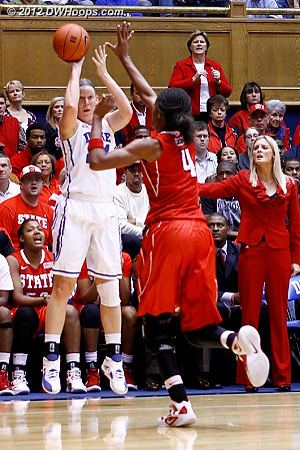 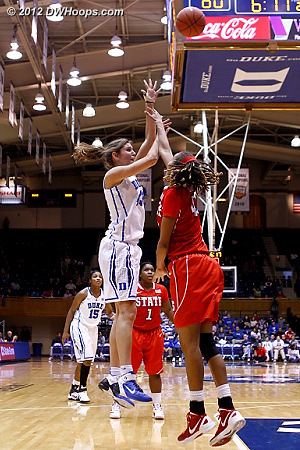 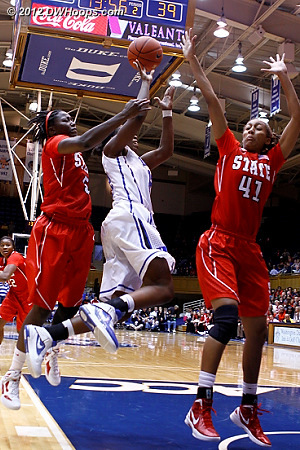 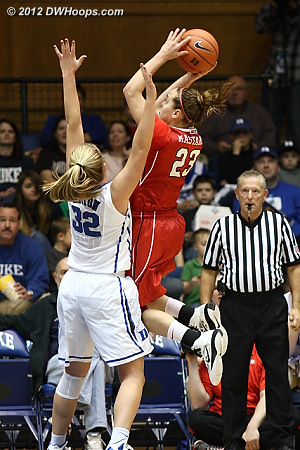 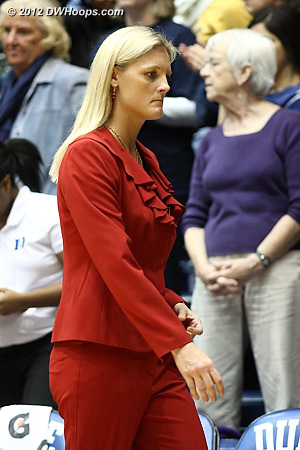 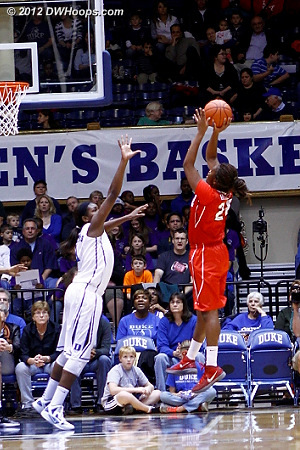 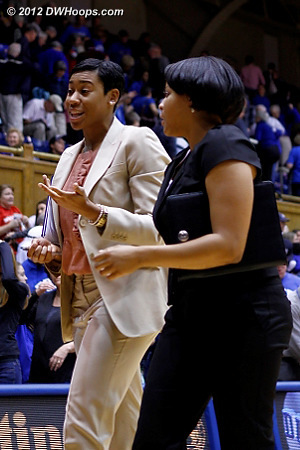 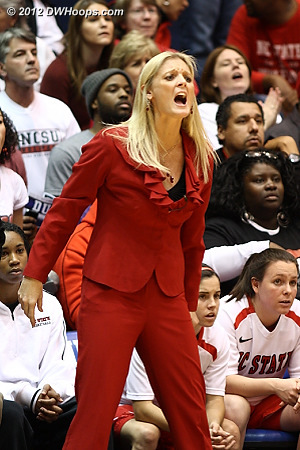 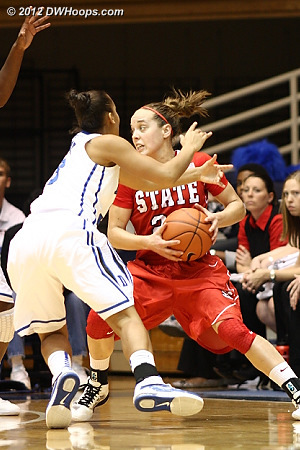 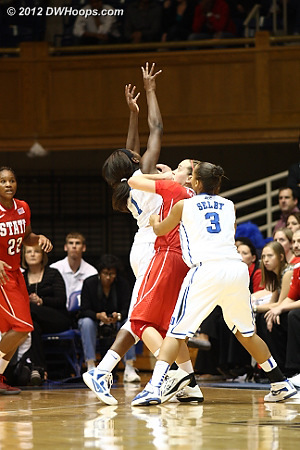 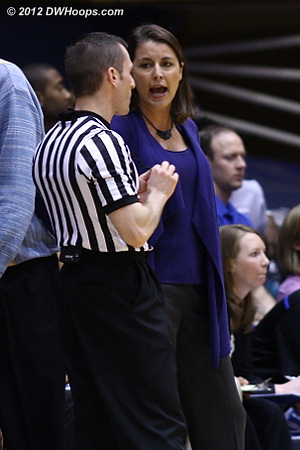 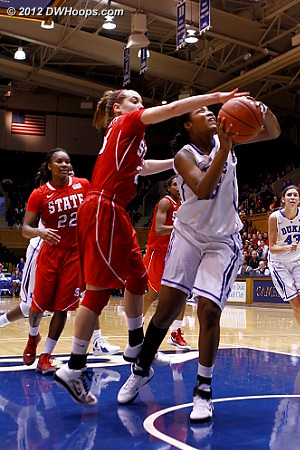 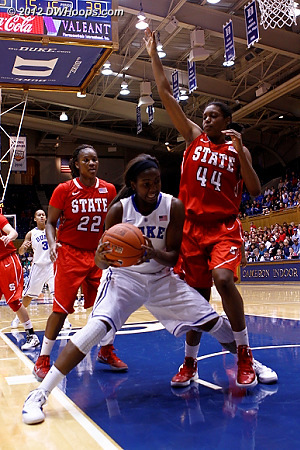 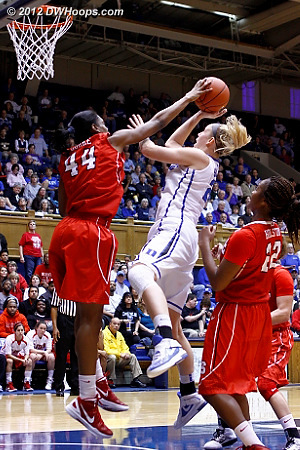 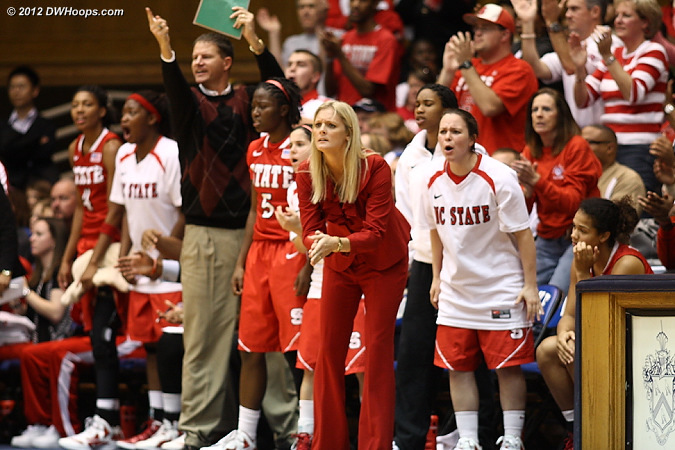 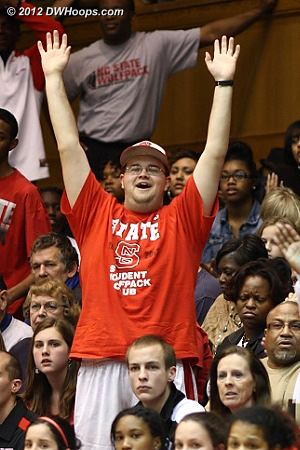 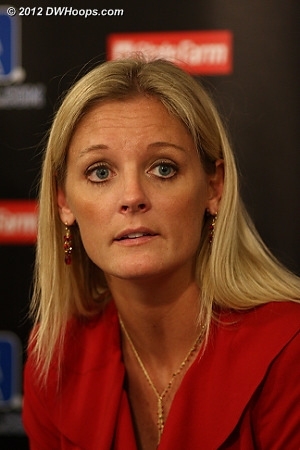 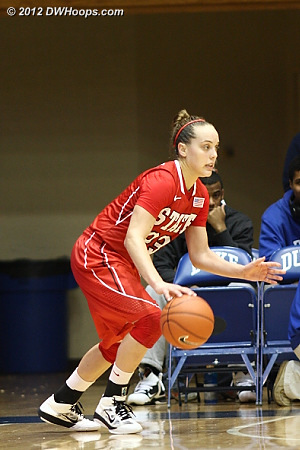 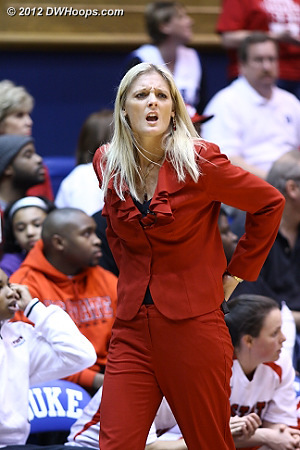 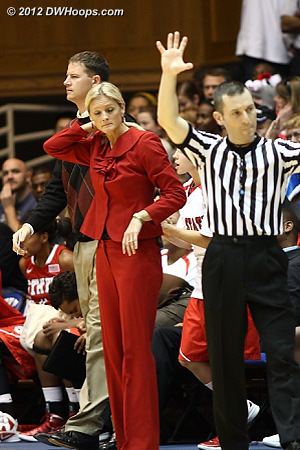 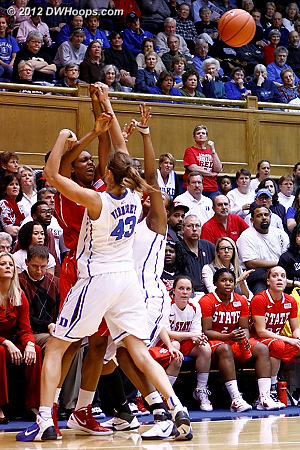 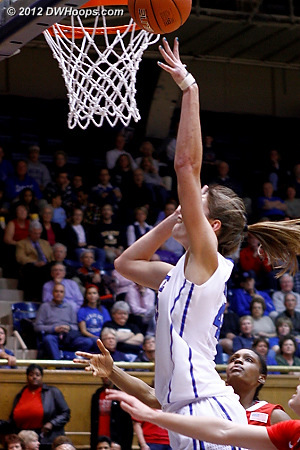 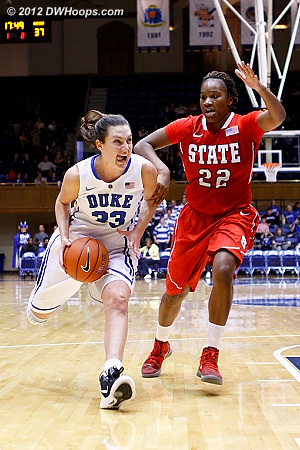 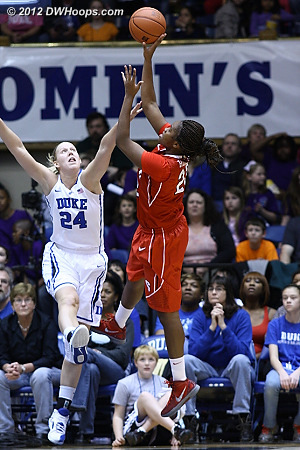 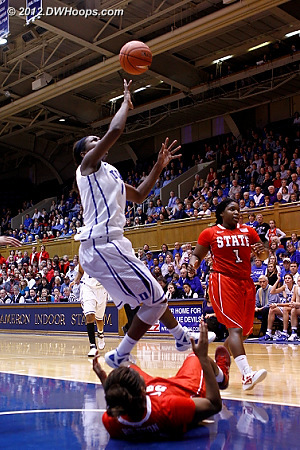 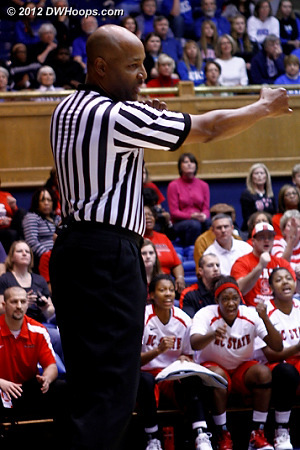 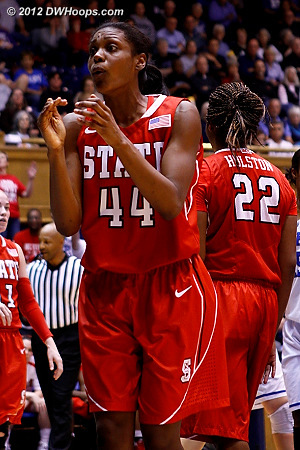 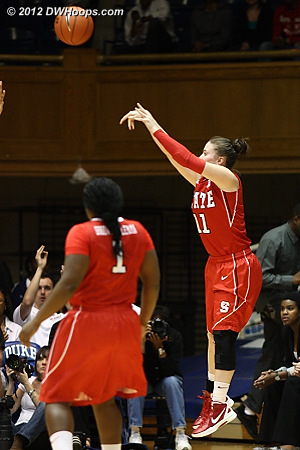 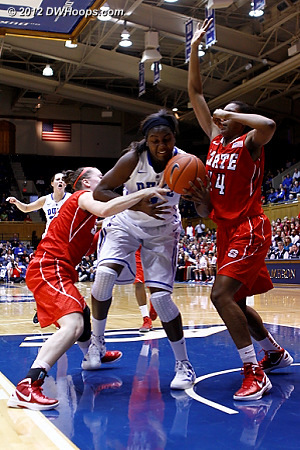 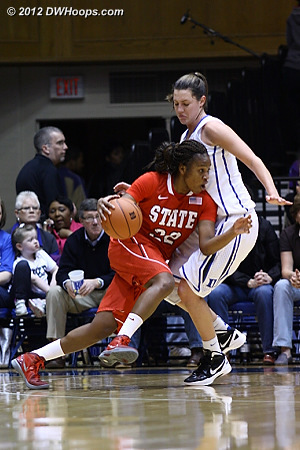 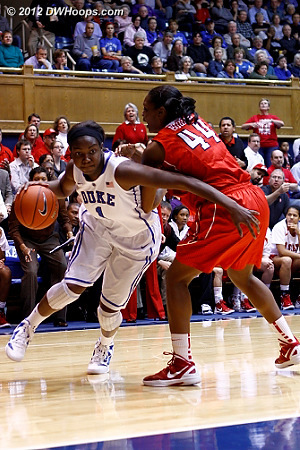 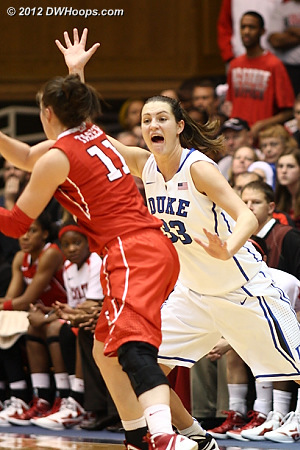 NC State coach Kellie Harper: "...our team is going to fight and play hard. 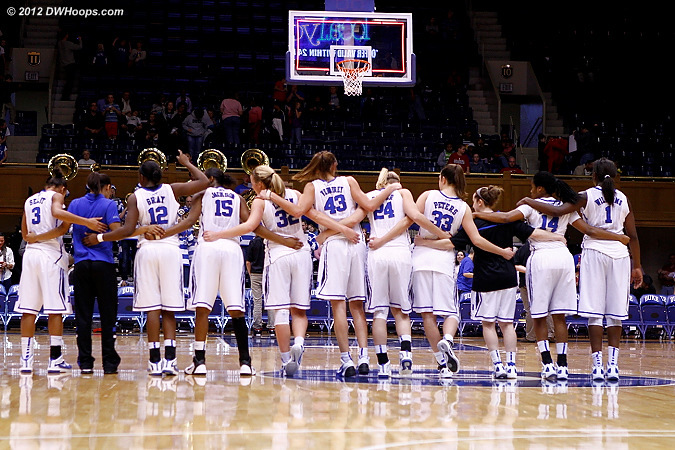 I hope that every time our team takes the court, no matter who we're playing, that they believe they can win. 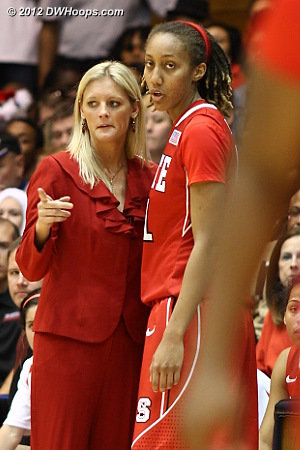 I do, when we give them the gameplan to do it." 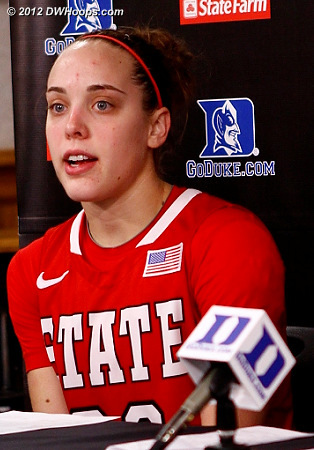 NC State guard Marissa Kastanek: "We're going to watch film as soon as we can, to recognize what we did well and what we did wrong." 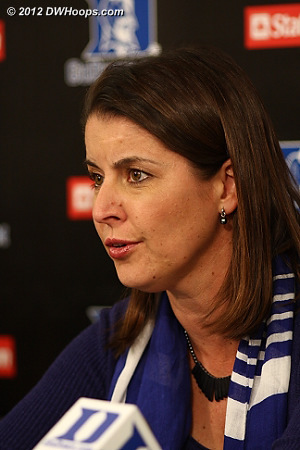 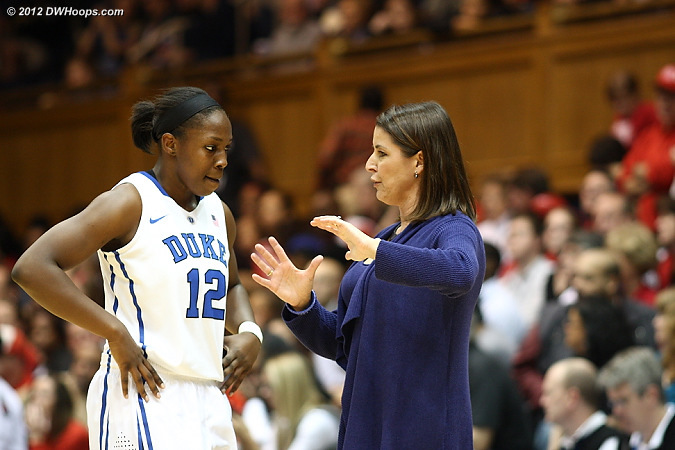 Coach P: "...you've just got to keep playing, keep attacking in the moment"